© Mary Garner-Mitchell. 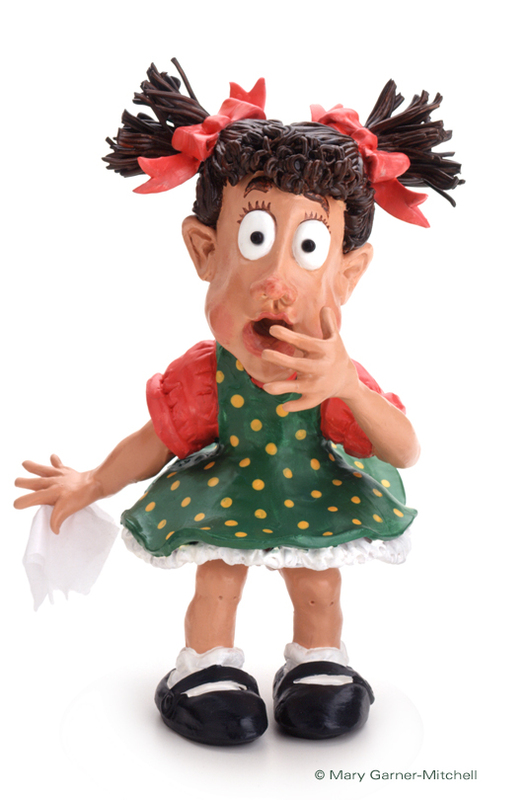 “Girl” of the Robitussin family created for a trade publication advertisement in 1990s. I remember back in 1985 when I was told I had to start using a Mac to create my newspaper layouts, I threw a fit! When I think back on that tiny screen, the machine’s limited memory, the fits and starts of embracing the new technology I was being force-fed, I have to laugh. A LARGE lesson was learned and that being to embrace change. So, here I am, embracing yet another change in how I do my work … actually, how I “show” my work. For almost three years I have neglected my website (http://www.garnermitchell.com), due to my being too busy to keep it current, and too busy keeping up with technology changes in print design to embrace, much less learn html. As it turns out, technology has met me halfway in the blog-o-sphere! So here I go. Have patience while I teach this medium to myself… much the same way I learned most aspects of my profession. But, this blog will not only be about “my work.” I will be creating categories for both my graphic design projects and illustration for certain, but I will also be posting creative endeavors around the house and garden. Stay tuned!